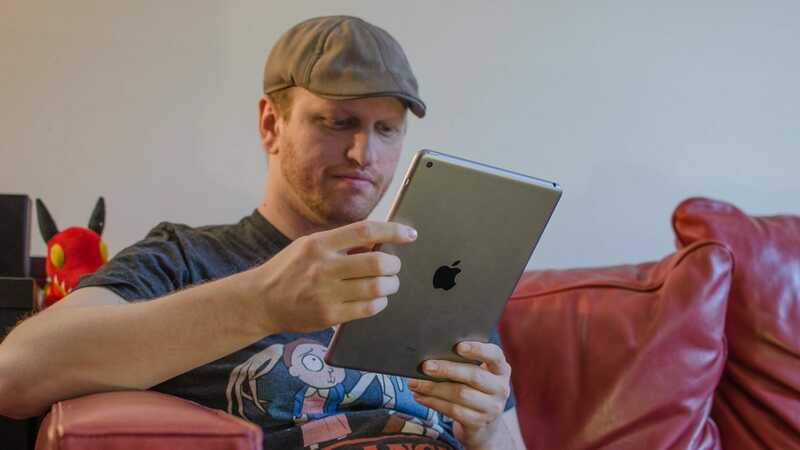 iPad 2018 Review: Why Didn’t I Try an iPad Sooner? I’ve used a lot of tablets. Android, Chrome OS, Kindles, even Windows. The new 2018 iPad caught my attention, though. It turns out Apple has good tablet design down pat. I’ll admit up front, I’m generally not a fan of iOS. This is partially because I’ve been using Android since the G1 came out, but also because I’ve rarely gotten along with Apple products. There’s nothing wrong with them. They just weren’t for me. So I wasn’t sure how I’d feel about using an iPad. To the shock of exactly zero Apple fans, though, it turned out to be one of the best tablets I’ve ever used. Early on, using the iPad felt clunky to me. The interface simply didn’t do things the way I expected, largely due to years of mental programming using other OSes. For example, on Android, you swipe left-to-right to dismiss a notification, but on iOS it’s right-to-left. There’s no app drawer to place miscellaneous apps, so I’m left organizing icons on the home screen. It’s not wrong. It’s just different. This says something about the nature of what’s “intuitive” in an operating system. The iPad is fast, fluid, and has some of the most crisp transition animations I’ve seen in a device. So why does it feel unnatural to me? Well, because I’m used to swiping this way instead of that way. These are my issues, not the tablet’s. The iOS interface is fluid and it’s nearly impossible to miss what you’re aiming your finger for. Once I accounted for that mental hurdle, I started to notice the little ways the iPad was ideal for what it was doing. For starters, everything has a huge touch target, making it easy to tap every little button. 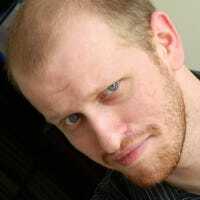 Most apps make use of the large display effectively, which is a sore point for Android tablets in particular. More than anything, though, the size is perfect. While Apple has the iPad Mini to let people quibble over which sized tablet is just right, but for me the 9.7″ display is ideal. It’s large enough to fit a full novel or comic book page on the screen without feeling constrained, while it’s still small enough to hold comfortably. Frustratingly, most other tablet manufacturers aren’t putting their best foot forward at this size. It’s easy to find a good enough 7″ tablet that isn’t running iOS, but at this size, Apple has it covered. Comparing the new iPad to previous generations is like comparing a juicy steak to a slightly juicier steak. It’s largely similar to Apple tablets in the past. It has the same display that every large iPad has had since 2012, the same fingerprint scanner since 2014, and even the same $329 (32GB) starting price as last year’s iPad. What’s new, however, is the A10 processer Apple put in it. Previously, you could buy the iPad Pro with an A10X processor, which is one of the fastest mobile processors Apple uses. It’s also the same one found in the Apple TV 4K. However, if you wanted a more affordable tablet, you would take a huge step down in power. Down to either the slower A9 in the 2017 iPad, or the comparatively meager A8 in the iPad Mini 4. At no point during my time using the iPad did I even think about processing power, because it never struggled with anything to even prompt me to think about it. The A10 is still a step behind what you’ll get in an iPad Pro, but it’s darn close. Considering the iPad Pro starts at $650, it might be worth sacrificing a little power to cut that price almost in half. Using the new iPad doesn’t make it feel like a sacrifice, though. In all the time I used it, the tablet never felt slow. It never lagged or hung on any apps. Video playback was super smooth while watching Netflix and Hulu, and I played music while drawing in the Adobe Sketch app with nary a hiccup. Apple has a reputation for making sure that whatever task you’re doing right now is the smoothest operation and it showed. Support for the Apple Pencil is the single biggest new feature of the 2018 iPad. Previously, you had to buy the expensive iPad Pro if you wanted the privilege of spending an extra $100 for a stylus. Now it’s available for much cheaper. If you’re just looking to take some written notes or do some light sketching, it’s ideal. It has it’s limits, though. First, the good: Writing notes is exceptionally fluid. 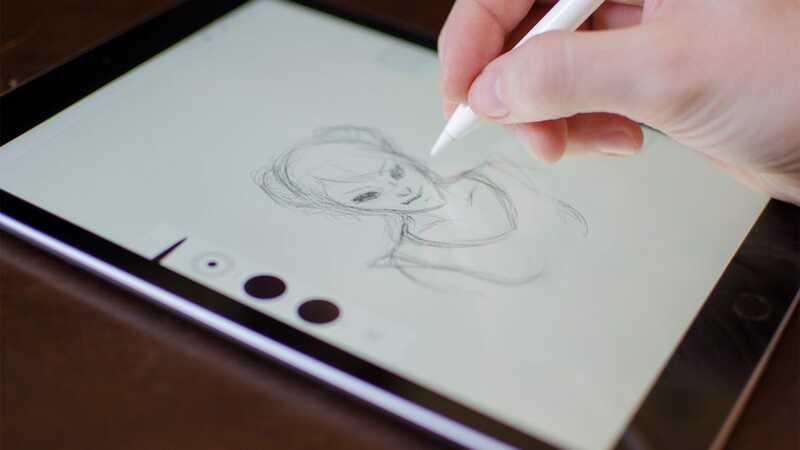 There’s zero input lag and the built-in Notes app supports the Pencil right out of the box, as do third-party apps like One Note, or the free Adobe Photoshop Sketch app. The Pencil supports pressure and tilt sensitivity, so you can press harder or write at an angle to get a different shape or look out of your stylus. When compared to the kind of stylus you can buy off the shelf at Best Buy (which are little more than sticks with touch sensitive tips), the Pencil is a revelation. However, it doesn’t stand up very well compared to more professional styluses. There’s no eraser on the back of the Pencil (instead, there’s a cap that reveals a Lightning plug to charge the device) so you can’t flip it around to correct a mistake. It also lacks any kind of buttons so you can’t, for example, click to undo. The Apple Pencil is pretty great for every day use but, on the regular iPad especially, it’s not a great fit for dedicated creative work. The biggest problems, though, happen when the tip meets the screen. Other styluses, like those from Wacom or even the one that came with my Surface Book, have squishy nubs. When you press harder, there’s a little give in the stylus itself that helps you feel just how hard you’re pressing. With the Pencil, it feels like you’re jabbing a chopstick into the screen. Worse yet, the regular iPad’s screen isn’t laminated the same way as you’d see in an iPad Pro. The result is that the display feels like it’s further inside the tablet, rather than right up against the glass. It’s a very subtle distinction, but when you’re drawing directly on a virtual canvas, this combined with the rigid tip can put a subconscious barrier between you and your drawing. For most things, this isn’t that big of a deal. Writing notes or light doodling feels just fine, but you shouldn’t expect to buy this instead of, say, a proper Wacom tablet. Of course, if your work needs something like a Wacom you probably already know this, but Apple is making the pitch that creatives can do real work on this. That’s only sort of true, and it will depend highly on both how professional your needs are, and how picky your preferences tend to be. Nearly every tech company under the sun has tried to make tablets work to varying degrees of success, but there’s a reason the iPad hasn’t changed much since it first came out. If you want a device that’s good for reading in bed, watching a movie on an airplane, or checking email on the couch, it’s still the best in its class. 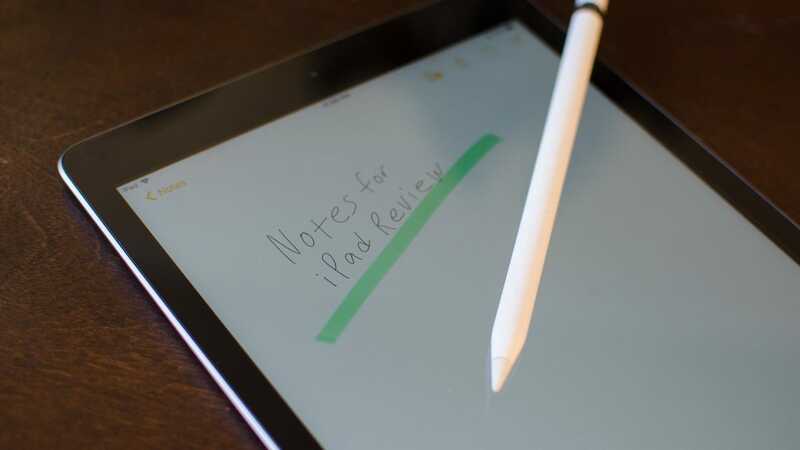 The new Pencil support makes it easier to write notes or doodle, which is great for such a relatively inexpensive tablet, but it won’t be replacing professional artistry tools any time soon. Whether you want to block out noises from outside your bedroom, calm your mind, or both, there’s a white noise machine for you. We’ve rounded up the best of the best, so you can get the rest you deserve. No one likes spending more money than they have to. With the right apps on your smartphone, you could put quite a few dollars back in your pocket at the end of a shopping trip.